ISBN 9790006543717. 27 x 19 cm inches. Language: Italian ,German. Translation: Peter Brenner. Text: Grimani, Vincenzo. 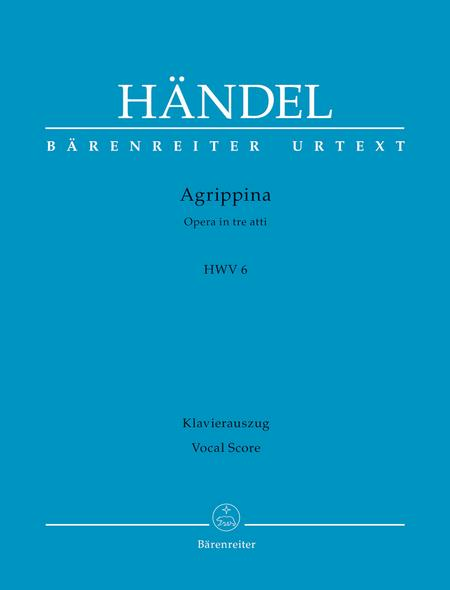 Handel'sAgrippinaHWV 6 was performed with great success at the 2015 International Handel Festival in Gottingen (Germany) using the new Barenreiter edition including the performance material and this vocal score. 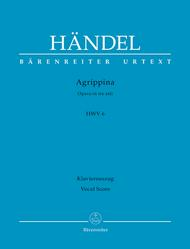 Agrippinais the last opera that Handel completed and premiered in Italy. The excellent libretto is one of the few original opera libretti that he set to music. The plot is tightly constructed, the characters sharply etched and equipped with a wide range of human emotions.